Fibromyalgia pain results from processes in the central nervous system and the health care community also attaches the label of "central sensitization syndrome.” No specific diagnostic test exists to confirm fibromyalgia diagnosis. The current diagnosis process involves ruling out other potential causes and verifying the presence of a set number of other symptoms. Medical doctors treat fibromyalgia with a blend of pain medications. Chiropractors uniquely help fibromyalgia patients by assessing and addressing the central nervous system. Fibromyalgia sufferers who begin Chiropractic care often share their pursuit of a solution that helps their condition without the addition of more drugs. Those who experience the health and healing of Chiropractic care become quick advocates to those experiencing the initial stages of Fibromyalgia. Research published by Moustafa and Diab (2014), documented clear evidence proving the positive effects of Chiropractic adjustments on subjects suffering from Fibromyalgia. The study split 120 Fibromyalgia sufferers into two groups. One group went through a 12-week Fibromyalgia education program that included cognitive therapy sessions and a specific exercise program. The second group of sixty patients received the exact same protocol with the addition of a series of Chiropractic adjustments to the upper neck. Patients in the second group received a total of 20 adjustments to the upper neck over a 12-week period. Both groups received benefits from each of their respective interventions. However, the group who received upper neck Chiropractic adjustments achieved more significant, long-term improvements when compared to the control group a year later. Chiropractic care proved to not only help fibromyalgia sufferers overcome the pain and symptoms of the diagnosis, but also provided sustainable improvement without the use of prescription medications. Chiropractic adjustments to the upper neck influence the entire body through their direct impact on the brain. The upper neck plays a crucial role in positively influencing the central nervous system. Misaligned or immobile areas of the spine prevent adequate communication between the brain and the rest of the central nervous system. Chiropractic adjustments help stimulate restoration of proper blood chemistry, hormones, and pain receptors. Fibromyalgia sufferers represent one of many groups of people locked in an uncomfortable cycle of disease that builds dependence on pharmaceutical drugs. Chiropractors help millions of people escape to a world of optimal health and function by unlocking the power within the body. Our very own Airdrie chiropractor is experienced and skilled at explaining the process before providing gentle neurological adjustments. 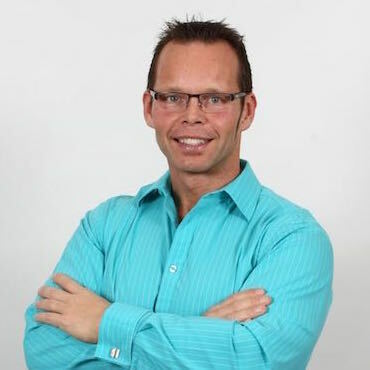 Dr. Glen Johanson provides very unique care that is very gentle as compared to traditional chiropractic. The adjustment consists of a very precise light pressure on the usually affected upper cervical spine with no twisting or cracking.